Makoto Konno is an average Japanese high school girl.... an average time travelling school girl. In a random series of events which culminate in a near death experience she finds that she has the power of time travel. Her new found powers aren't without their side effects. By travelling through the same time stream and righting all of her wrongs she begins to effect the lives of everyone around her. The Girl Who Leapt Through Time is one of many films based upon the story Toki o Kakeru Shōjo (時をかける少女) by Yasutaka Tsutsui between 1965 and 1966 in Chu-3 Course and Kou-1 Course magazines. 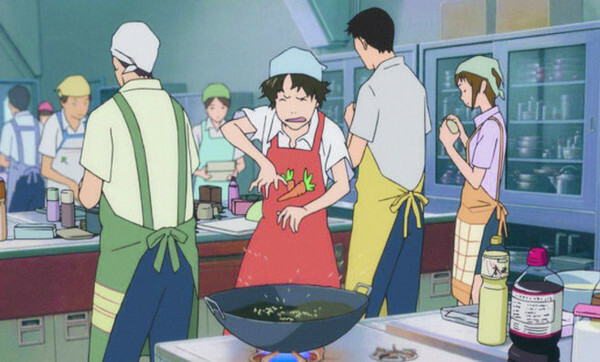 The film was released in 2006 and won the Japan Academy Award for best Animated Film the same year. This film is for anyone that enjoys a good Ghibli film, displaying all of the hallmarks. A great storyline with compelling and lovable characters. Sure there are no fuzzy monsters or dragons or pig-man pilots but it honestly feels like a Ghibli production. This is especially reinforced by the outstanding production values on this film. The beautiful painted backgrounds alone make The Girl Who Leapt Through Time worth a second viewing. The scenery is so reminiscent of Tokyo in the springtime, each scene took me back to my time in that wonderful country. The character designs are just as great as you'd expect from Yoshiyuki Sadamoto, the legendary designer behind Royal Space Force: Wings of Honneamise, FLCL and Neon Genesis Evangelion. All of the characters portray their characters personality and truly come alive. 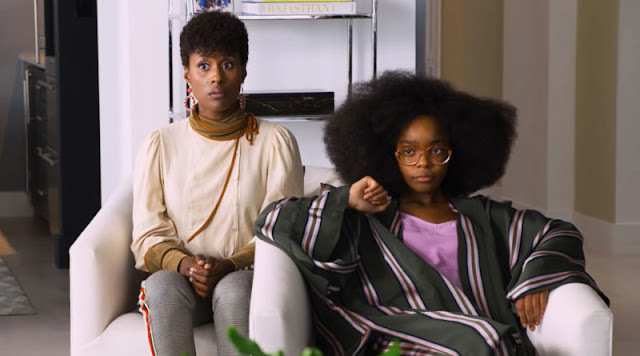 They are utterly believable and, most importantly, likeable. The individuality of each character is astounding. There are a number of scenes which involve running, it is in these scenes that the individuality is so evident. Each character has their own running style, even down to they way that they move their hands while on the trot. Some clench their fists and others slice through the air with bladed palms. The animation is incredibly sharp and of the highest standard, which is exactly what you would expect of any production from Madhouse. Director Mamoru Hosoda was very selective in the use of 3D animation in this film, relegating it only to the time travelling scenes. Another decision by the director makes a massive difference to the film, although only on the subconscious level. 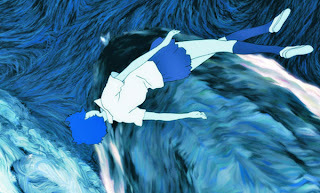 Hosoda decided the the characters would not cast any shadows, further reinforcing the crisp and clean look of the film. Thankfully, Madman's transfer of the film onto Blu Ray has been yet another success in their ever increasing, and so far impressive, catalogue. Their is very little in the way of artifacts and the colours are incredibly rich. Madman have really done justice to this beautiful film. The special features on the Blu Ray release are most certainly worth the watch, the directors commentary gives some great insight into the film making process. Behind the scenes footage and shots from the Japanese premiere are also included and make for some interesting watching, a chance to see the voice actors and creators behind this wonderful piece of work. I honestly find it very difficult to fault this film. The story is compelling a thought provoking and is masterfully brought to life through some gorgeous animation and lovely music by Kiyoshi Yoshida. The Girl Who Leapt Through Time is a masterpiece, there, I said it! 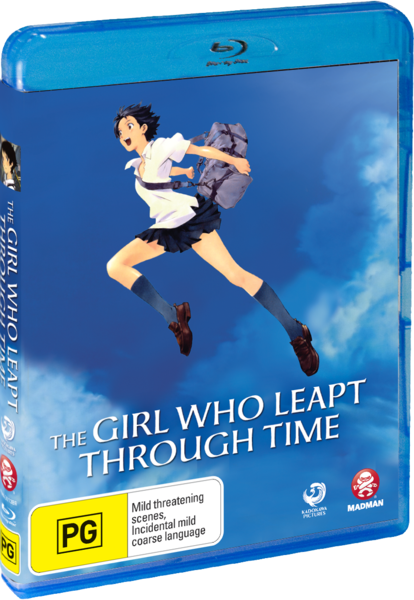 The Girl Who Leapt Through Time is available on DVD and Blu Ray in Australia from Madman and at most major retailers. The manga based on the movie is also available from Madman and manga retailers. 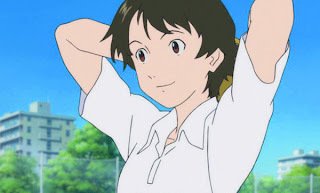 The Girl Who Leapt Through Time is a fantastic movie and I agree with you that's it's thought-provoking. I liked how it ended without a real conclusion because it forced me to think about it further long after it had finished. Have you seen Steins;Gate? I really like the time travel genre, and it's done so well in that series. If you haven't seen it, I recommend giving this post on the Manga anime blog about The Girl Who Leapt Through Time and Steins;Gate a read.